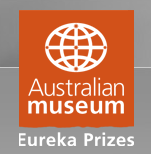 You are here: Home / Climate / "And the Eureka Prize for climate propaganda goes to…"
"And the Eureka Prize for climate propaganda goes to…"
… John Cook, who has been awarded the gong for “Advancement of Scientific Knowledge” in the 2011 Eureka Prize. Cook publishes the website Skeptical Science, which allegedly “rebuts” all the filthy lies peddled by evil deniers (© any alarmist you care to mention). John Cook, a physics graduate who created the Skeptical Science website to debunk lies and misinformation about climate change science, won the prize for advancement of climate change knowledge, sponsored by the NSW government. Impartial presentation of scientific knowledge, however, it ain’t. It is an ideologically driven propaganda site, the sole aim of which is to rubbish, ridicule and dismiss anything which challenges the precious consensus. If you need further evidence of this, simply look at Cook’s publications, which are more concerned with attacking “deniers” than seeking scientific truth. Also check out Lubos Motl’s response to Cook’s “rebuttals” here. More than anything, however, the award reflects extremely poorly on the Australian Museum, which awards the prizes, and, like so many formerly respectably scientific institutions, has been wholly compromised by a blind acceptance of climate hysteria. Love it. Something that gives unbiased data has to be better than what the Govt tries to feed us. The Eureka Prize for Advancement of Climate Change Knowledge is awarded for work that demonstrates achievements in deepening the broader community’s understanding of climate change, its impacts and the need for action. Yet support for taking tough action to address climate change continues to erode. The foreign policy goal of tackling climate change is considered very important by only 46% of Australians, down seven percentage points from 2010 and down 29 points from 2007. Support for the most aggressive form of action to address global warming slipped five points from last year, with 41% saying global warming is a serious and pressing problem and that we should begin taking steps now even if this involves significant costs, according to the Lowy Institute 2011 survey. So John Cook has been awarded a Eureka Prize for enlightening the broader community’s understanding of climate change, its impacts and the need for action, when in fact Australian attitudes on the need to take action on climate change has fallen significantly in the past 5 years. Hmmm … I think that should be classed as a FAIL. Can we get the CSiS (Climate Science is Settled) Minister Combet and all his cronies to acknowledge the achievements of John Cook. In fact that would be a good thing making Combet look like an absolute idiot as tries everytime he opens his mouth to denegrate us. My advice to John Cook is take all the accolades you can get, you deserve them all, because I can see all the “petty warmists” like Abraham et al warming up their video cams, computers and writing crap ready to send out the propoganda trying to stop the fact that a skeptic could have possibly debunked anything their prcious side has said and also keep the “robot warmist faithful bloggers” faithful to the cause! I sure have been taken by this guy….. my comments don’t suit this clown ….maybe I could cut and paste them to somebody like Jo Nova who deserves an award for debunking claims of AGW alarmists. For now though I am eating the provertial humble pie for looking an absolute goose! It looks like Ron was taken in by the title of John Cook’s website. How delicious that the guy who wins the prize for advancement of climate change knowledge starts out with an indelible lie built in to his web address and mast head. Surely if the Aussie Govt. is serious about tackling climate change, it should ban coal and iron ore exports to China?